On a beautiful sunny autumn day after a light snowfall, I could not resist taking most of the photographs below. 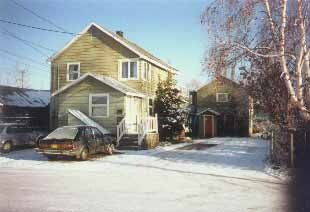 343 Brandt Street--a 5-Plex consisting of a duplex and a triplex. 1 3-Bdr, 1 2-Bdr, and 3 1-Bdr Apts. Purchased for $125,000 in 1983 with seller financing. 149 Palace Circle--a 4-Plex with 2 3-Bdr and 2 2-Bdr Apts. Purchased new for $255,000 in 1985. 705 O'Connor Road--a 4-Plex next to and almost identical to 149 Palace Circle, purchased for $105,000 in 1989, at the bottom of the "bust." 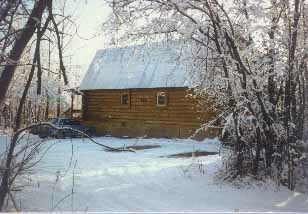 828 Crossman Road--a side-by-side Duplex cabin with lofts and no running water. Purchased in 1991 for $38,500. Very inexpensive living! 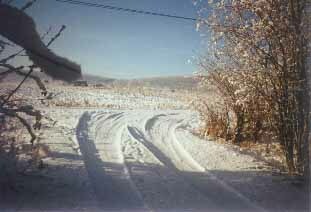 The view entering the gravel driveway of 828 Crossman Road after a light autumn snow. 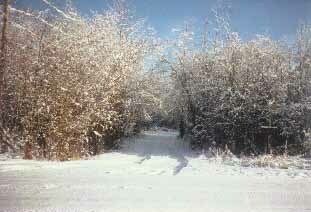 The view of the dogmushers' field upon leaving the driveway of 828 Crossman Road. 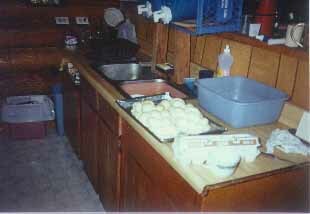 Making Challah in the kitchen of the cabin of 828 Crossman Road. 2 5-Gallon jugs provided the water supply, and a basin under the sink caught the waste water. 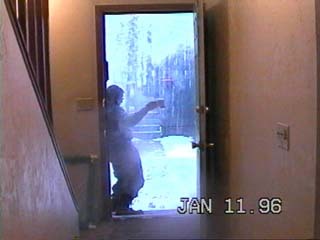 Chayim, after Tossing a Cup of Boiling Water Up into the Air, at Colder than 40 Degrees Below 0, Outside the Front Door of Our Fairbanks Apartment. The Geophysical Institute, located just to the left of the Institute of Marine Science. 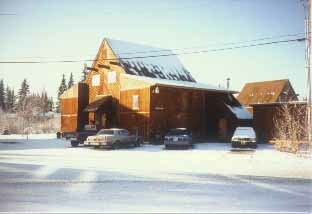 I did occasional work here, too. 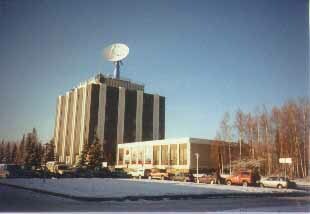 Note the SAR (Synthetic Aperature Radar) dish antenna on the roof. 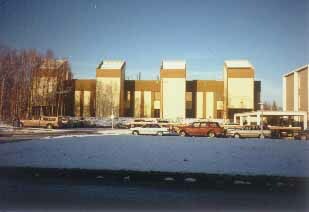 The Institute of Marine Science, on West Ridge of the University of Alaska Fairbanks campus. 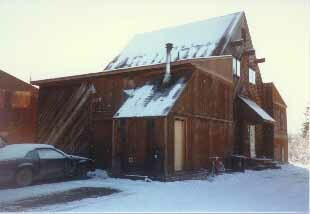 I worked here as an Analyst Programmer for over 13 years.